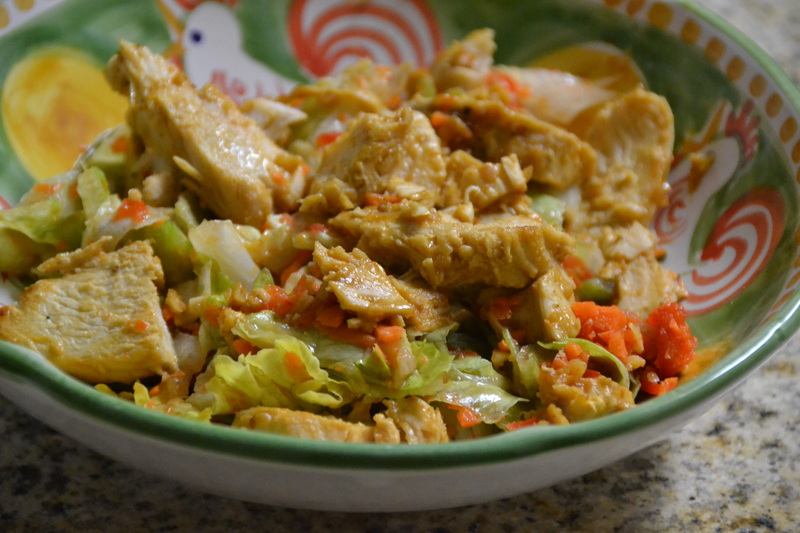 Thai Chicken Salad and Happy New Year! Happy New Year to you and hello 2014! Are you making resolutions and plans for the year ahead? I love the fresh start that a new year brings and the ritual of setting intentions for the year ahead. Waking up on New Year’s Day, I’m inspired to clean out my closet and my file cabinet, finish my yearly photo album and make something new in the kitchen. I’m full of resolutions, armed with a new day planner and excited about 2014. If you’re feeling a little stuck about where you want to be next December, I recommend this post: 20 questions for a New Year’s Eve Reflection over at The Art of Simple. It encourages you to gift yourself the space and freedom to reflect on the past twelve months while making plans for the upcoming year. I hope you’re enjoying a day off and looking forward to a beautiful year. And now for a fresh, healthy and delicious salad recipe perfectly aligned with your resolution to eat more vegetables. 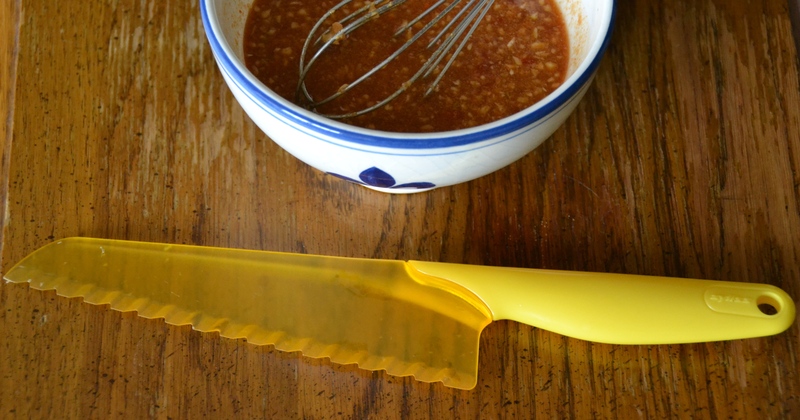 To shred the lettuce into the right consistency I like use this a lettuce knife. Supposedly the clean cut allows the leaves to stay green longer rather than quick-browning like torn leaves. I used my mini-chopper to cut the carrots, peppers, peanuts and garlic. Toss the salad with the dressing right before you serve it; you don’t want the lettuce to sit for too long and become soggy.